Hunting gamefish is a whole different level of fishing experience to any other kind of fishing. These magnificent creatures are not tempted by half a sardine on a hook simply dangling in the water. They need to be teased, stalked, tricked into striking at what they belive to be their natural prey. With our twin 100hp engines we are able to travel at high speeds, but it still takes a while to get out to the deep water hunting grounds of the pelagic species. Those experienced at game fishing will know this is just part of the build up to an amazing experience. 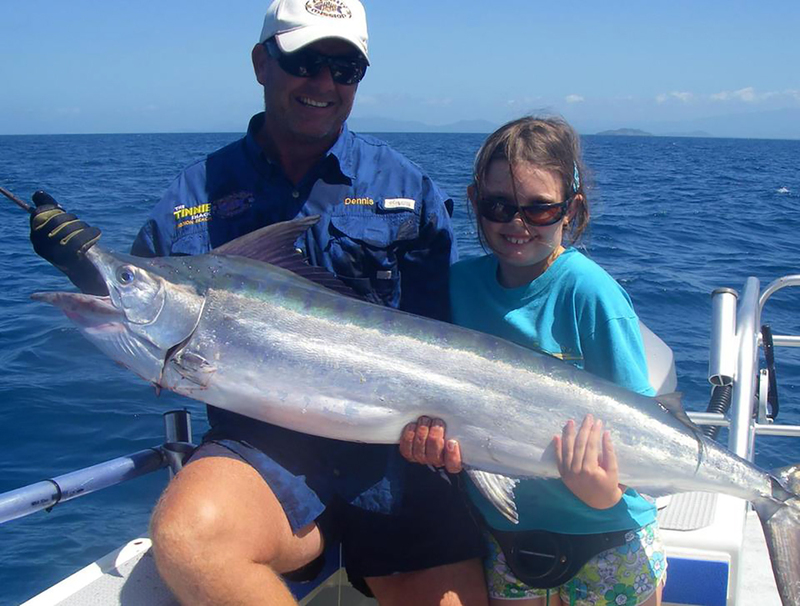 We have a great range of gamefish visiting the waters around Mission Beach and across the reef to the shelf. 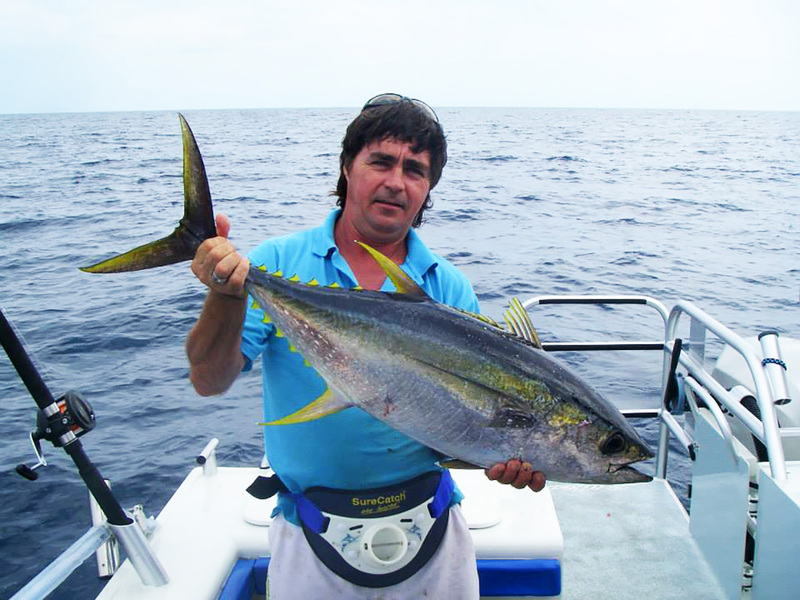 We have a lot of experience hunting Spanish Mackerel, Black Marlin, Sailfish, Dolphin Fish, Wahoo and Yellowfin Tuna, to name a few. 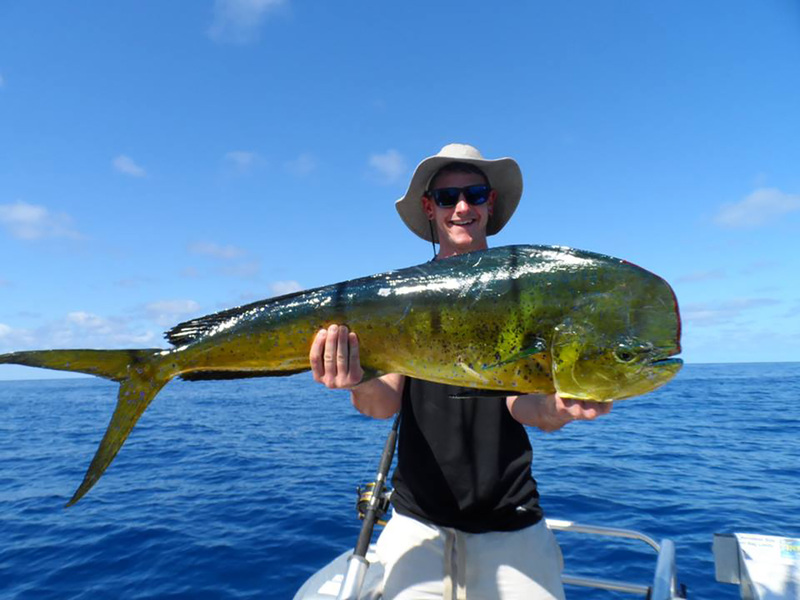 Capt Dennis is very much in tune with which species are in the area at any given time and can tailor your day to suit whichever of these incredible fish you are hunting.